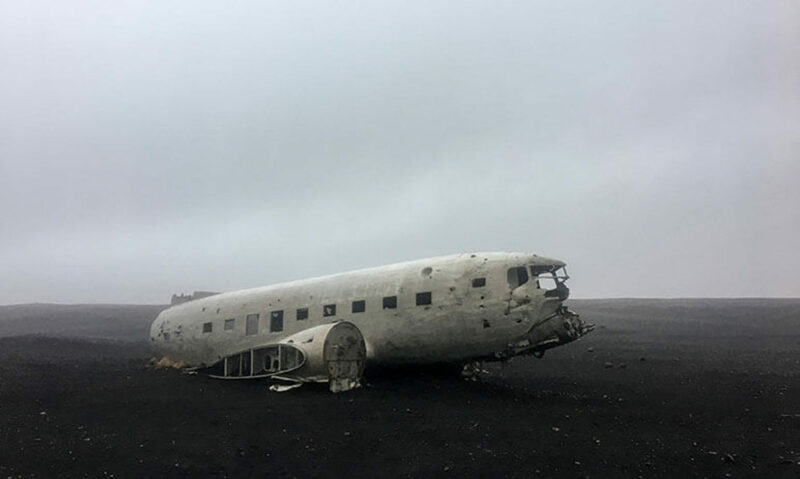 The US Navy DC3 plane pictured here crashed on November 23, 1973 when it ran out of fuel and landed on the black sand beaches of Sólheimasandur, in southern Iceland. 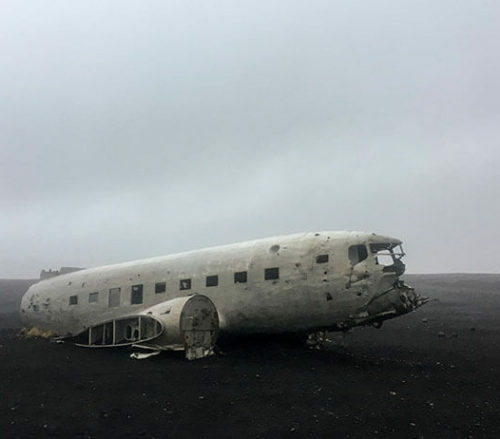 Any quick Google search of things to see and do in Iceland will likely suggest you park in the small lot along the side of Highway 1 and make the 45-ish minute walk out to see the plane and grab a photo. Go one step further into a deep Google image search and you’ll see beautiful photographs of every angle, at all times of day and night, including stunning images of the Aurora Borealis (Northern Lights) dancing above. I was pretty dead set on creating my own long exposure, multi-image photograph out on the beach in the cold, dark night while the lights danced above me. A week before leaving I ordered some cheap colored gels to use on a Cactus RF60 flash; The idea was to leave my camera on a tripod and go inside the plane with red or blue gels on the flash and illuminate the inside, then use a small flashlight to paint the outside of the plane. It’s a classic light painting technique with the added flair of the aurora borealis above. 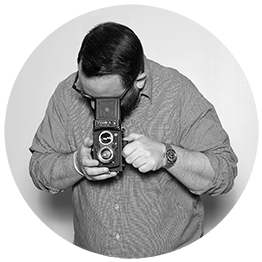 I had spent a few hours looking around Flickr and 500px for inspirational photographs, there are hundreds, but they all hinged on clear skies. The forecast for the entire trip showed rain leading up to my departure, but it’s not the first time I’ve left for a trip with a similar forecast. Trying to stay optimistic, I soon learned when they call for rain in Iceland, they really mean it. On the third day in Iceland I knew there wasn’t going to be a clear day, or night for that matter and I had flushed the idea of seeing the Northern Lights down the proverbial shitter. I still wanted to see the DC3, even in the rain. Two things I hate most in life are being cold and wet, even more when at the same time. The forty-five minute walk out was terrible. Rain came down at a 45 degree angle varying from light to heavy and the waterproof jacket I had kept the water out, but it also kept the sweat in. The outside temps were low 40’s but with nothing to block the wind on the beach, it felt much, much colder. 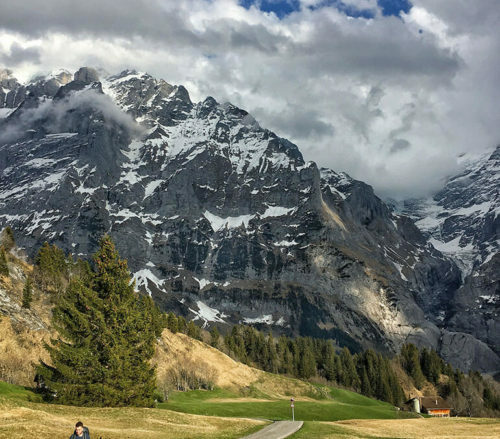 For a carry-on airplane and working camera bag I chose a Lowe Alpine Strike 18, a lightweight bag that is not listed as water-resistant, water repellent or waterproof. It is made of ripstop nylon that I stuffed a Crumpler Haven inside of with my camera gear for the trip. Going on a two or more hour adventure in varying degrees of rain was not what this bag was made for nor did I want to risk ruining my camera gear. It stayed in the car. The result? The above image, shot on an iPhone 6s and lightly edited in Lightroom for iOS. It’s about the exact opposite of the image set in my mind. At that moment, cold and wet, I realized my focus and enjoyment should be on this abandoned airplane that has survived (sort of) over 40 years exposed to the elements. Not on what my emotional attachment to making a an image that wasn’t possible for reasons beyond my control. Travel not to make a perfect photograph, but for the experience. All the planning and the best equipment and every accessory won’t ever get you fully prepared, and that’s OK, for me. Without the backstory, I still feel this image holds up well, and in the end that’s what matters to me.